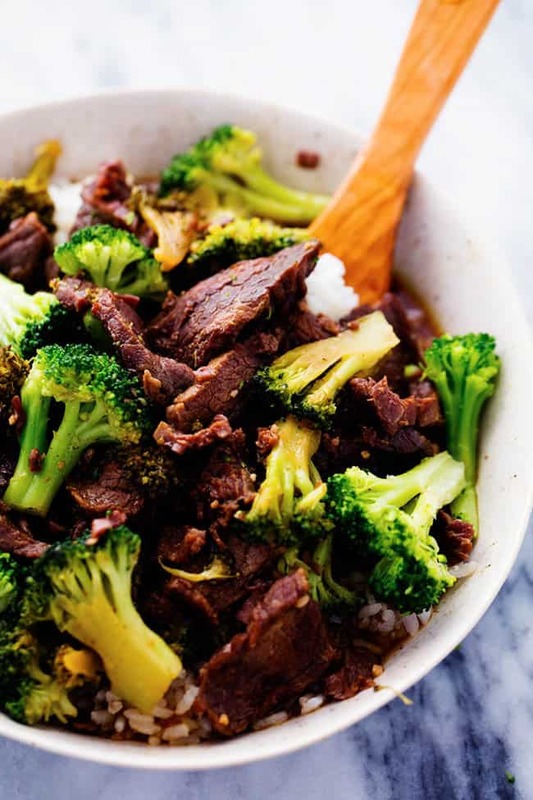 In a mixing bowl, whisk together the beef consume, soy sauce, dark brown sugar, sesame oil, and garlic. Lay the beef strips in the crockpot and pour the sauce over, tossing the strips to coat. Turn the crockpot on low and cook for about 6 hours. Mine was ready at 5. You don’t want to cook the beef too long or it will start to shred. When it is just about done, take 4 Tbsp of the sauce and whisk it in a small bowl with the cornstarch. Slowly stir this into the crockpot. I added the broccoli in at this point so that it could get heated through. You want to let it cook an additional 30 minutes so that the sauce can thicken and frozen broccoli can cook. You don’t want to add the broccoli until the very end or it will be mushy. Serve over white rice and enjoy! !